What can I use to safely clean my new prefinished hardwood floors? It’s best to clean prefinished hardwood floors with a dust mop, this can be done using a dry swifter or cloth type floor duster. You can spot clean whenever necessary, but it is important not to use a mop and bucket of water on your floors because the seams are not sealed, just the top of the flooring. For the spot cleaning method, use a mild solution specifically formulated for prefinished hardwood floors and spray in just the affected area then wipe off immediately. And remember to read the back of any label to make sure that it is okay to use on the type of surface you are going to be cleaning. I prefer products that are eco-friendly because I know they won’t be too harsh on my floors. Another way to be sure you are using the right product is to find out what the manufacturer recommends. 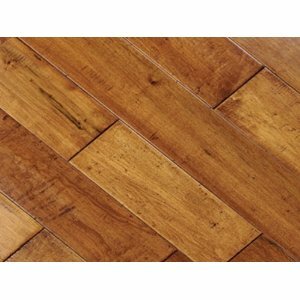 Each manufacturer has a preferred cleaner they suggest using on your new hardwood floors. So please read the info that came with your floors or call the manufacturer for more details.